Packaging : First off we have to draw all our attention to the hologram on top of these palettes. It is an explosion of powder and its just stunning, it fit so well with the feel of the palette, no in fact, its what creates the feel. 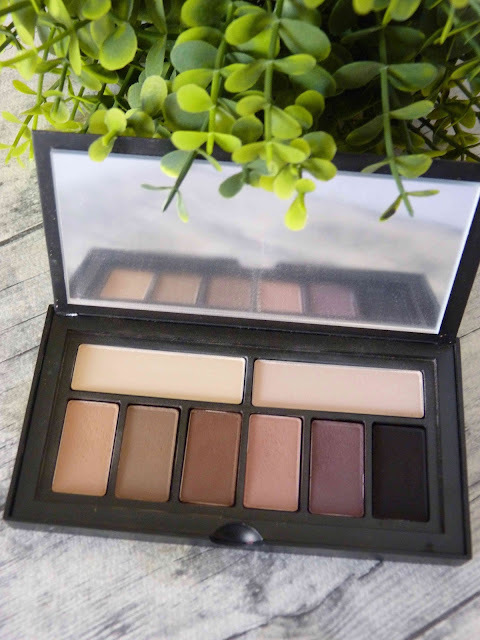 The palette is thin and sleek, its about the size of three quarters of your hand, really compact but it can pack a punch! When you open it, all sorts of magic happens. There is a tiny finger indent that allows you to easily open the lid, and on the inside of the palette you have a decent sized mirror. When we look at the shadows, you have two bigger base shades and six pops of color. Each base shade has got three smaller pans below it and together they form a "quad" that works together brilliantly. Blendability : I think the reason why this palette has got such a high price tag is cause the shades were taught how to blend themselves. In all seriousness, these blend like a dream. They are not patchy, they do not skip and they play well with each other as well as other eyeshadows. It is easy to mix and match colors and they blend seamlessly into each other. The base shadows work so well over a primer to prep the eyes for the shadows to last the whole day. They stick to the primer well, set the primer and make the eyelid smooth for all and any other shadows going on top. Staying Power : In every review I do where I showcase any eyeshadow or palettes, I go on and on about my oily eyelids. So in this post I am just going to state that I have extremely oily lids and I go through a whole process if priming them. Once this is done I am all set to go and these shadows literally last the whole day. They blend well, and because of that there is no powder to move anywhere and with a good primer it will not move anywhere anyway, not even crease. These Cover Shot palettes are good quality shadows that will keep your eye-look looking perfect all day and all night until you are ready to take it off. Formula : In the past I use to think that fallout was a sign of a bad products, but I realized since then that it is not necessarily true. Fallout can be caused as a result of a number of reasons. High pigmentation is one of these reasons, the pigment is compressed so tight (if that is the right word) that it kicks up powder when you dip your brush into the shadow. Not to worry, all you need to do is just to tap your brush before you start blending, it will get rid of the excess powder. Every single shadow in both palettes are extremely pigmented, even the base shades. 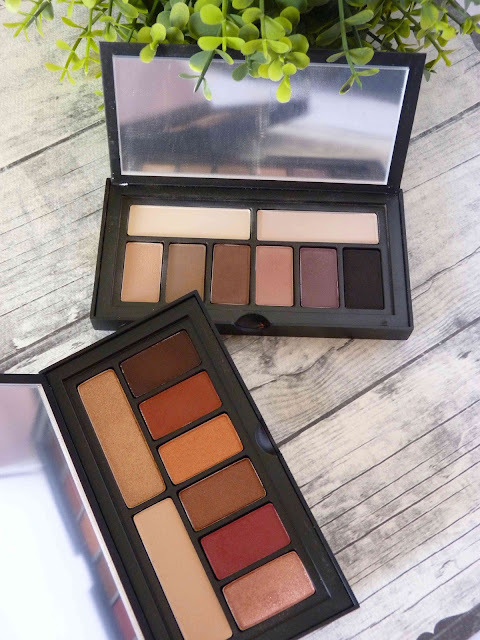 Most palettes in the range has got an array of finishes except the Matte and Metallic palettes, as all the shadows in those particular palettes has got the same finish. Color Range : This collection was created in collaboration with actress & social media powerhouse Shay Mitchell from Pretty Little Liars. There are seven palettes in total. Metallic, Matte, Bold, Golden Hour, Soft Light, Smoky and Ablaze, my personal favorite. I think that the concept of these palettes are great. They are a one and done type of palette that you can create multiple looks with. You do not need any other shadows from any other palette. Where to find : You can find these palettes at Foschini, Truworths, Edgards and Woolworths (mostly the bigger flagship stores). Pricing : Each palette retails for R650 and I promise you that it is worth every cent. Its got great packaging, awesome quality and their longevity is on point. The colors are so beautiful and the brand really did think of everything. If you have tried these, please let me know what you think of them and if you are just as happy and over the moon as I am.